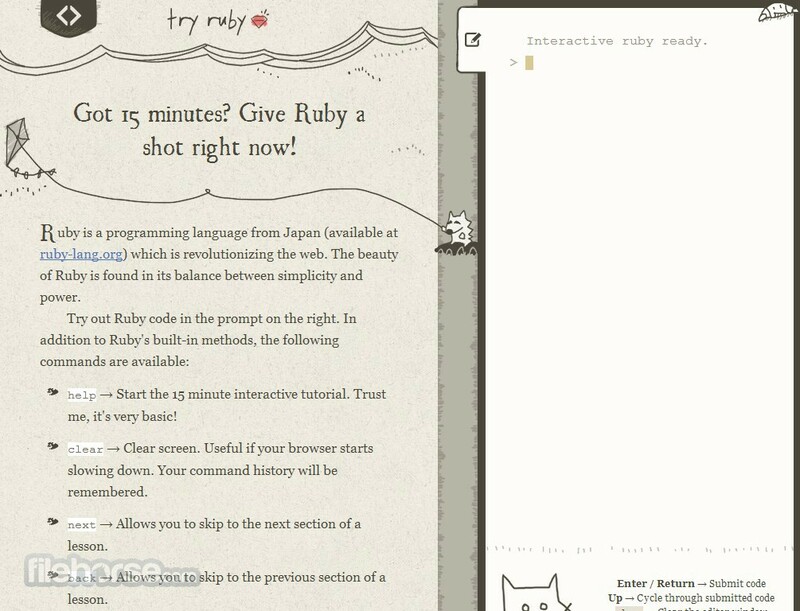 TryRuby is an innovative programming language tutorial website designed to be used for web development and site building. From the moment you come to TryRuby website, you will be welcomed with easy-to-use interface and starting screen which consists of a 15 minute tutorial that will showcase you step by step advantages of this new programming language. With streamlined tutorial and powerful programing language support, every web developer will have no problems learning this language in minutes and start exploring its abilities. 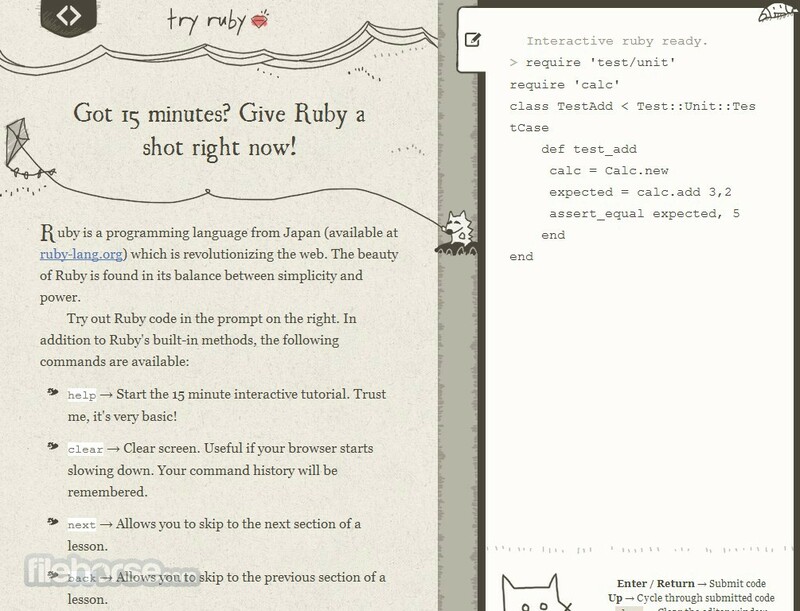 TryRuby web application is absolutely free and offers advances assist tools and handful of valuable tutorials that will be great help for anyone who wants to get accustomed in working with Ruby. Try it out.